A visit at Ole's - "Nordtreffen"
A few pictures from the visit at Ole, a member of the German "Vinyl-lebt" forum. A future article in the Danish "High Fidelity" will feature the entire article. All electronics this night was from Danish HOLFI and battery operated (the poweramp as well). 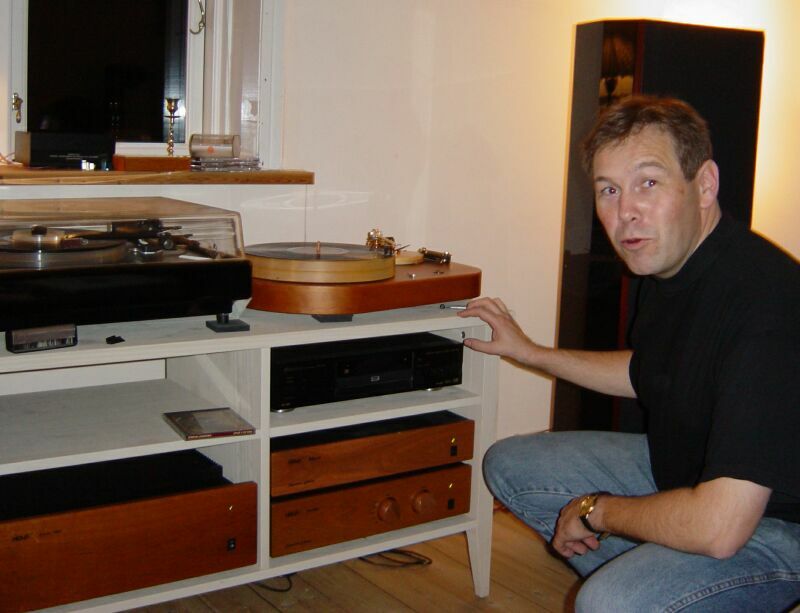 The speakers not shown here are from the Danish F3/Lyd. 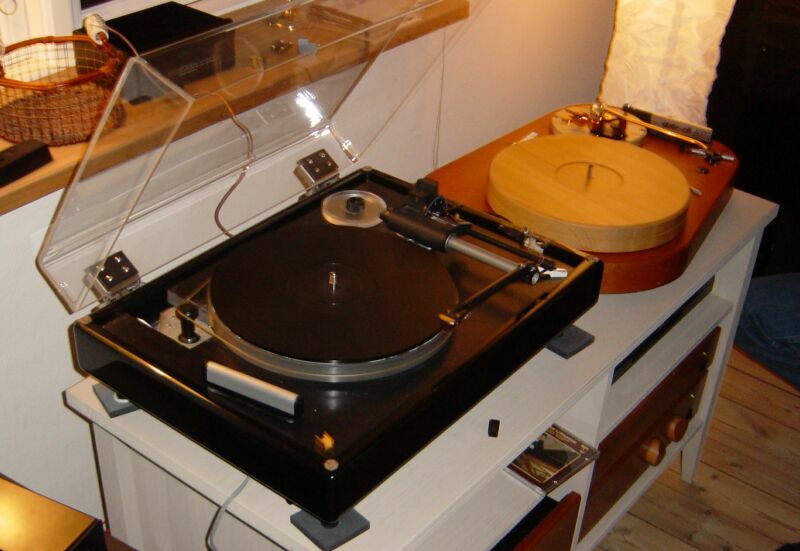 Ole is very much into analogue which shows with 2 recordplayers and a new 3rd diy on the way. I only heard and saw one CD that night. (look at the pictures - you might find it!) The number of LP's on the other hand I never had a chance to count. 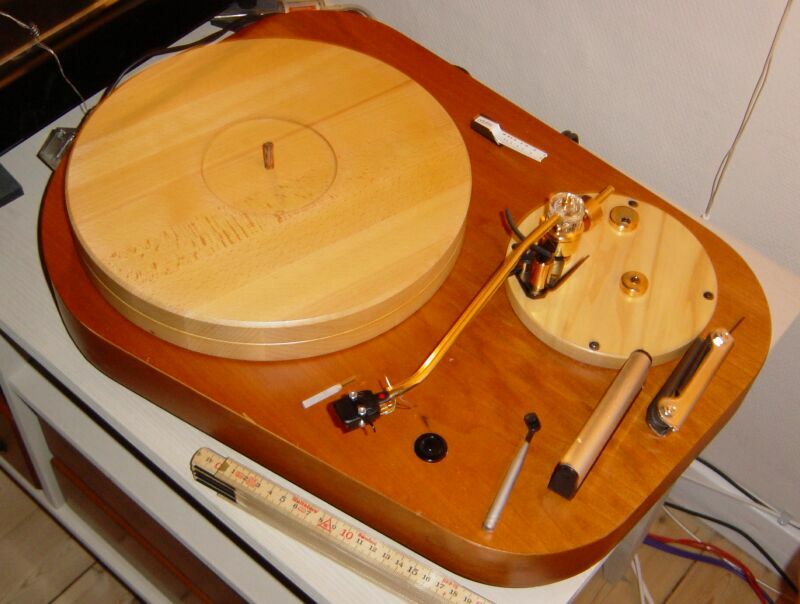 Ole has one of the very few Holfi Mathilda recordplayers - here with Mörch DP4 and an old Supex cartridge. 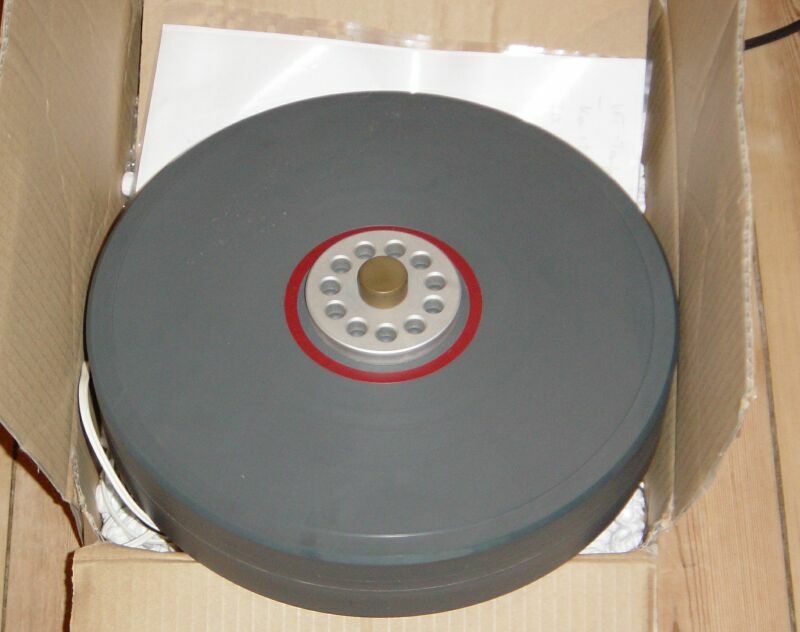 To stiffen the very special woodden platter (and prevent bending) deep grooves in the bottom of the platter have been filled with a mixture of PVC, lead and other metals - here seen as the red grooves in the bottom. 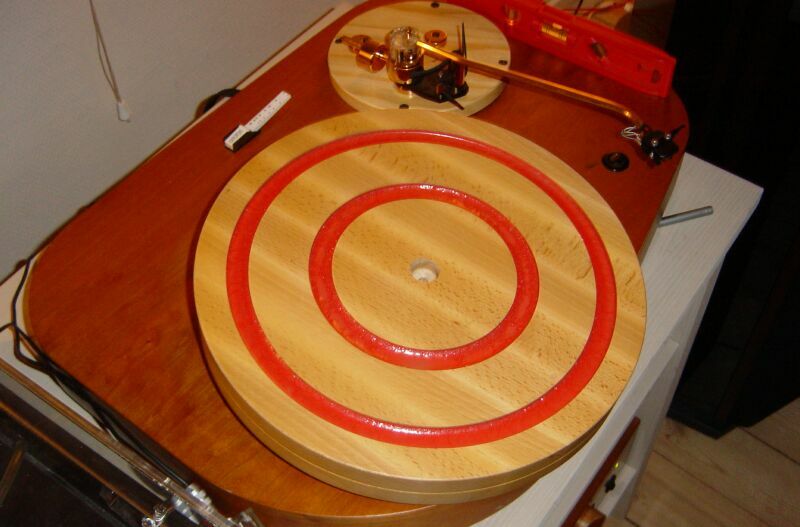 The grey PVC platter is for Oles new project - a real DIY record player.